Honestly, that’s refreshing and accurate. Nissan’s current sports-car lineup is made up of a bunch of big ol’ fast bricks, including the current GT-R that makes 565 horsepower standard, and Nissan just want to make big ol’ faster bricks in the future. 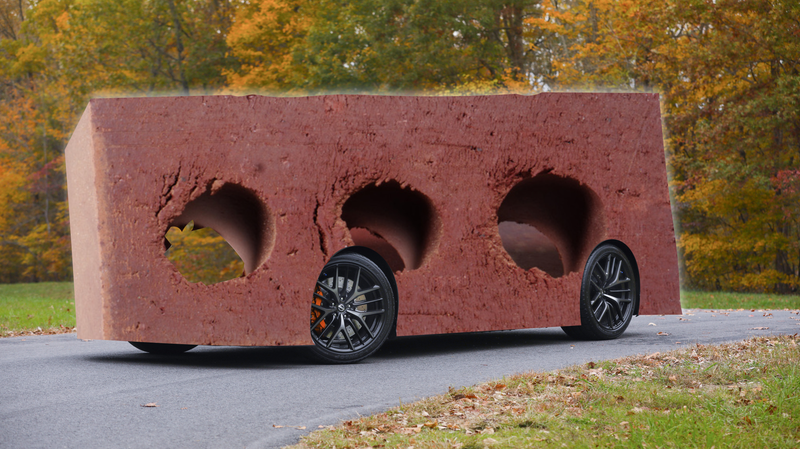 In the age of expensive sports cars that look like amphibious fish creatures and bugs that could slice you in half, a brick approach is... wholesome, in more ways than one. It’s nice. In an interview with Autocar, Nissan design boss Alfonso Albaisa didn’t say how the new GT-R would become the world’s fastest brick—whether by some level of electrification or none at all—but did say Nissan is making a new platform for the aging vehicle and that it “has to be the quickest car of its kind.” Albaisa also wants the new GT-R to be different from others of its “kind” in how it looks. “We simply have to reflect people’s dreams; and I think people dream that the next GT-R will be the hottest super sports car in the world,” said Albaisa. He said that the next car would have a muscular character like the R35 in order to retain the GT-R “beast”, adding: “It’s an animal; it has to be imposing and excessive. Not in terms of its wings, but rather its visual mass, its presence and its audacity. That’s a lot to take in right there. “Hottest super sports car” is subjective, depending on whether a person likes 2,000-HP electric supercars, 1,400-horsepower gasoline cars with nightmarish fuel economy, cars with American muscle but are pretty bare otherwise, cars that can only be driven on the track, or anything else. You get the idea. The point is, someone out there will probably think the new GT-R is the “hottest” supercar in the world. Check. This is hilariously reminiscent of the Rolls-Royce Cullinan SUV. It has to be huge so people are intimidated by it even if the hugeness does inevitably throw off the power-to-weight ratio that heavily influences performance and efficiency. Kudos for not doing what everyone else is doing in the sports-car realm, Nissan. At the end of the day, no one really wants to catch a brick. It’s one of the least catchable things there is. Maybe that’s Nissan’s whole idea. Which Nissan GT-R Review Got It Right?